Our newest Basics Collection, Cleary in Coconut (shown); also in Dune. Comfortable and casual; choose feather/down fill and Cleary will deliver relaxed, modern styling. 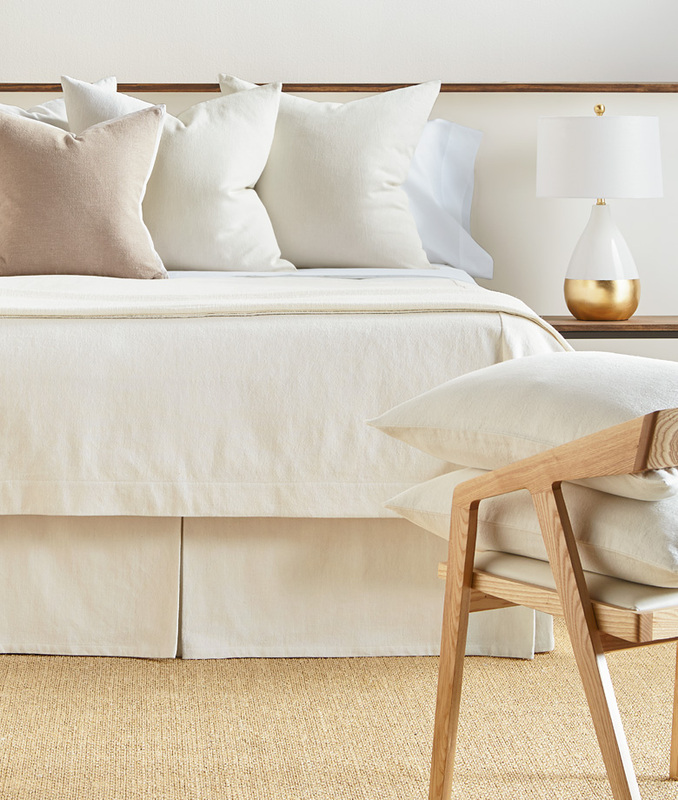 Sheets are Palladio Percale White, simply styled with classic cuff detail.